At Paul Hunt Electrical Installations, we appreciate that time is a valuable resource. Your business is only effective if it is fully operative. Electrical works and maintenance can be inconvenient and the downtime can be costly. Maintenance in old buildings can be especially disruptive to ensure that you meet with current regulations. 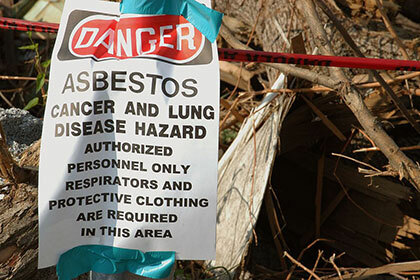 Installations involving asbestos significantly complicates the process for any owner. Therefore, it’s important to choose your contractors wisely. Paul Hunt’s electricians are fully prepared for all circumstances and fully trained to deal with any type of installation. When you disturb or damage the fibres, they release into the air. Inhaling these fibres can cause significant damage to your lungs and even cause cancer. Notably, the inhalation of such fibres will not cause immediate illness; but instead, develop over time and become fatal. Fortunately, the use of asbestos is now illegal in the construction of buildings. However, asbestos may still be present if you are occupying a building pre-2000. Britain’s National regulator for Health and Safety advises that you “Do not try to repair or remove any asbestos materials yourself”. The potential risk and extent of fibre release can often be hard to determine. Therefore, it is best to let a professional assess the situation. Be Safe and Allow a Licenced Contractor to Assess and Maintain Your Installations.